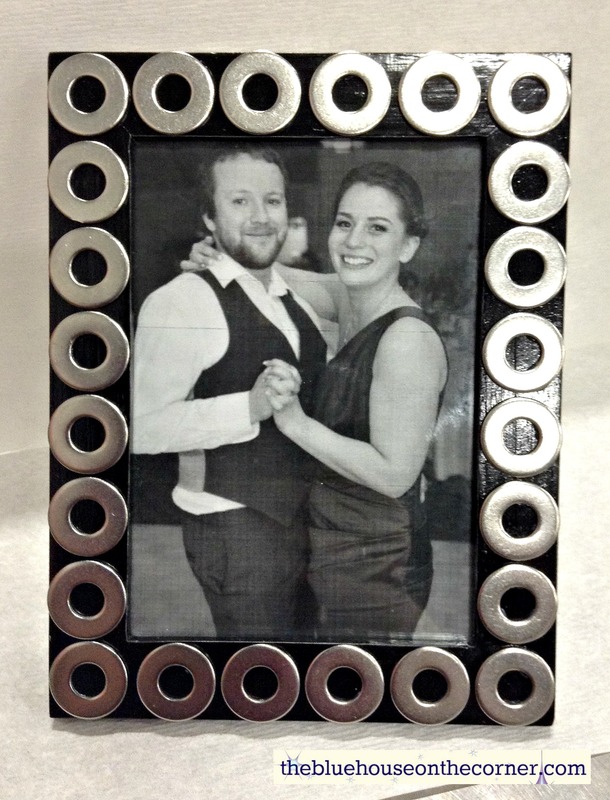 Take ordinary frames and turn them into something magnificent! 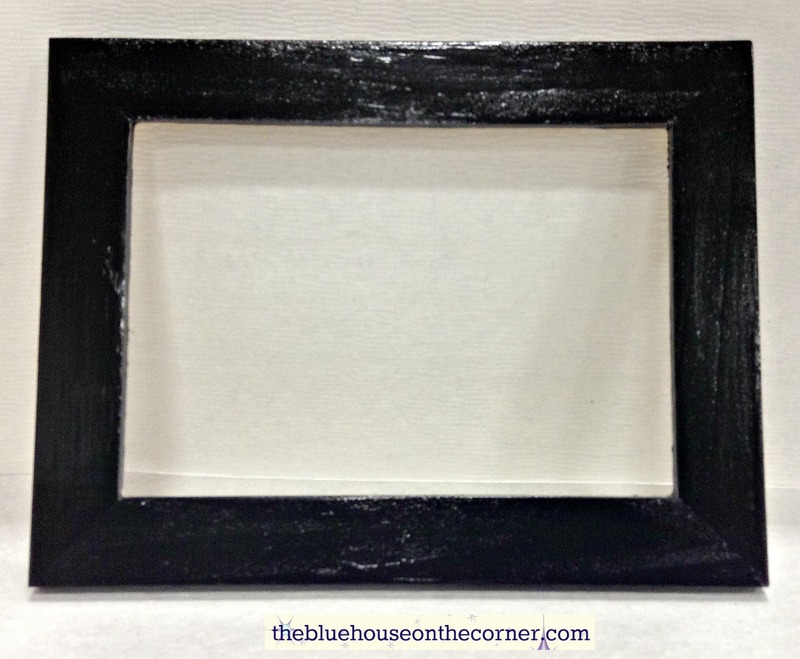 Paint the frames with a high gloss black paint. You can pick any colour you want, but black worked the best for my home. 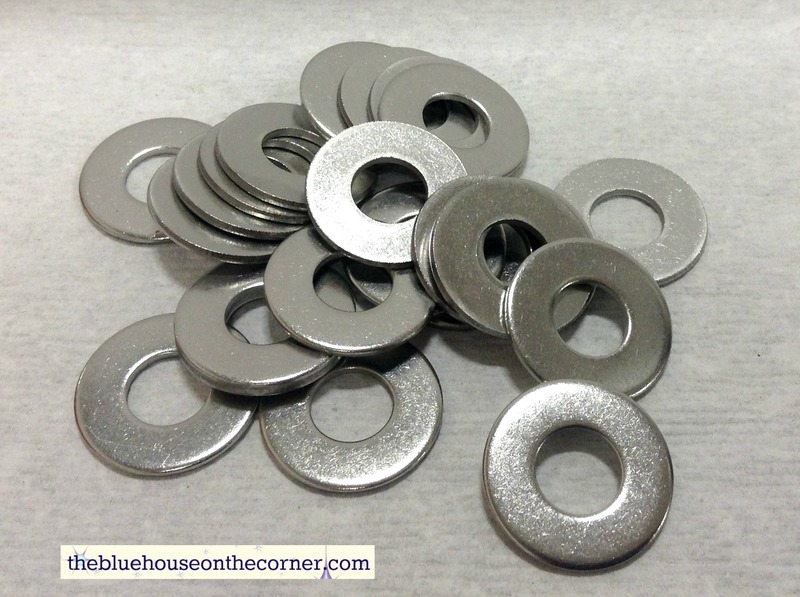 Buy some washers from your local hardware store. They are usually $0.12 each. For each frame I used 24 washers. Make sure you space out the washers evenly before you glue them down, then use a good glue (weldbond is what I used) and glue them into place. VIOLA! 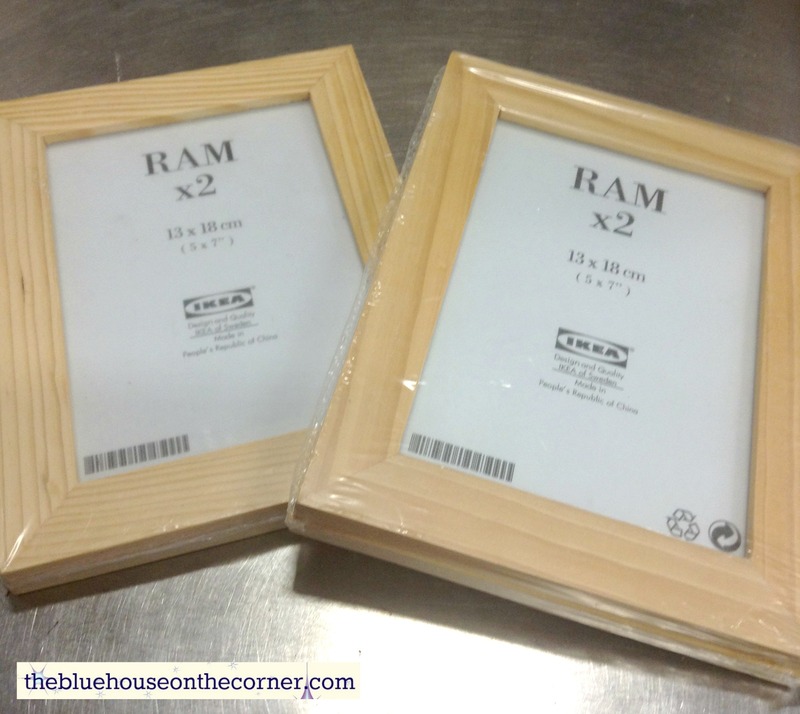 Brand new frame that looks rich and elegant with an industrial feel to it!